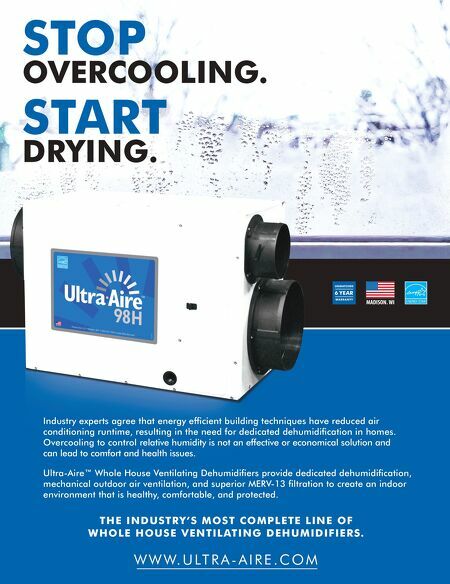 Join industry leaders along with fellow weatherization professionals, home performance contracting businesses, program administrators, and others working in the residential energy efficiency industry for a cutting edge educational experience at the 2019 HPC Northwest Regional Home Performance Conference and Trade Show. Become a part of the conversation as we work together to strengthen the industry through education, networking and new ideas. Grow your business and enhance your career in the Pacific Northwest. We'll see you in Portland! Visit www.homeperformance.org/conferences/2019-hpc-northwest- regional-conference-trade-show to register today! 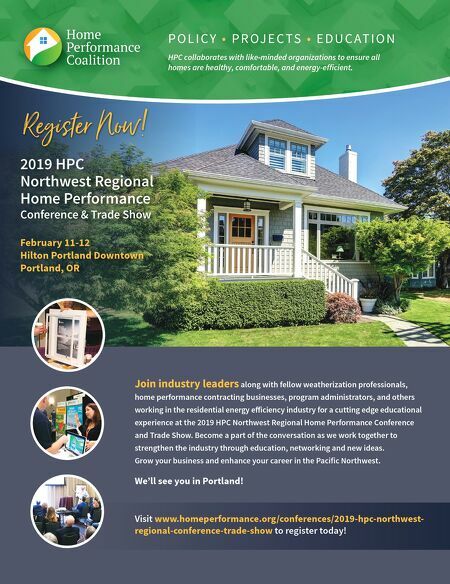 2019 HPC Northwest Regional Home Performance Conference & Trade Show February 11-12 Hilton Portland Downtown Portland, OR Register Now! P O L I C Y • P R O J E C T S • E D U C A T I O N HPC collaborates with like-minded organizations to ensure all homes are healthy, comfortable, and energy-efficient.